In the world of construction, scaffold boards are vital to completing any project and there isn’t many areas around the country where you wont see the vast array of steel and wooden planks wrapped around everything from churches to high-rise office blocks. As well as scaffolding, they are often used on site for a variety of other functions – walkways across muddy ground and other kneeling boards etc. Given this versatility and varied use scaffold boards have a limited time that they can be used safely in the building industry. So when these working walkways have come to the end of their scaffolding career, we take a look some of the fantastic ways this quality wood can be kept out of the waste stream and landfill whilst free to enjoy a new life upcycled in its current form. Scaffold boards are of good quality and are ideal for multiple uses in allotments or as planters, furniture and decking… The possibilities are endless!! 1. 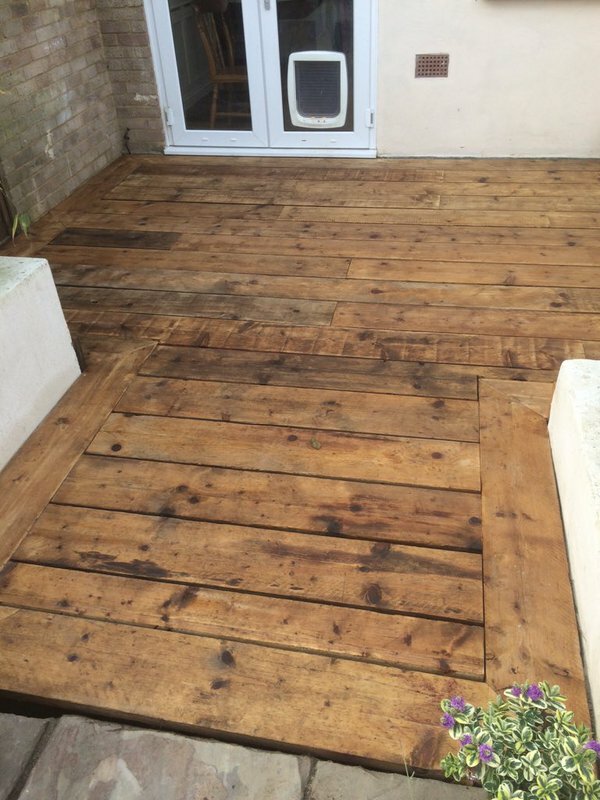 Away from traditional decking – Reclaimed scaffold boards provide a stunning alternative and the result… Just Beautiful! 2. Innovative storage solutions. Perfect for any home or business. 3. Be the envy of your friends at the get together. 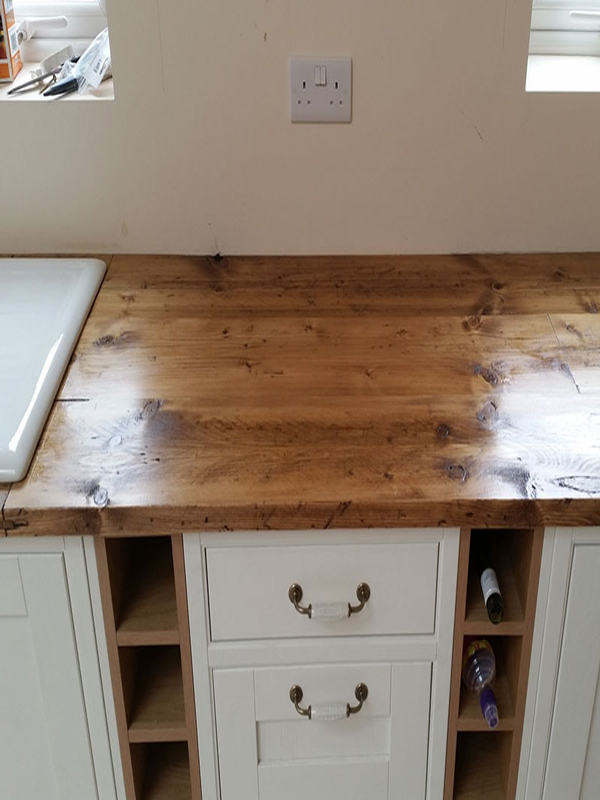 Surplus Scaffold boards provide a beautiful kitchen surface and a great talking point! Unique & Environmentally Friendly! 4. 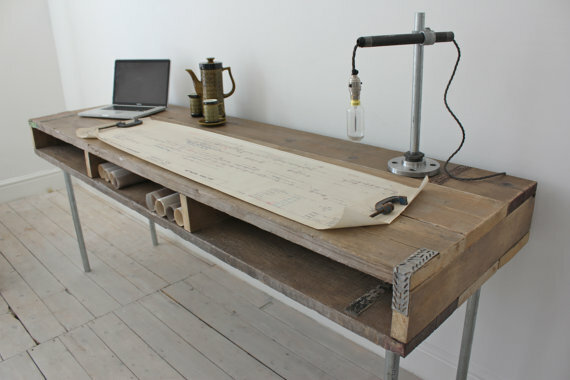 Whether the home office, penning a novel or a place for the kids to do their homework. Why not on a desk with its own story to tell. 5. 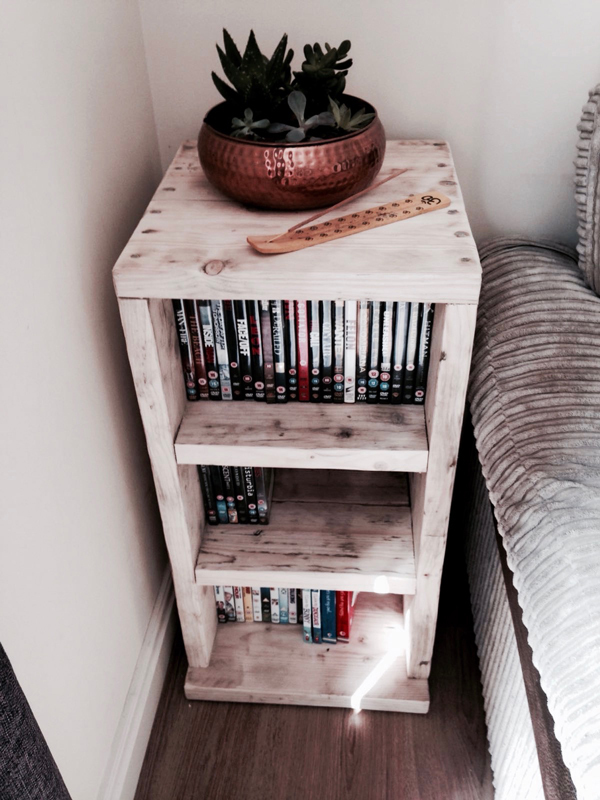 Finally, old school meets upcycle – Scaffold DVD unit to hold your collection of box hits! 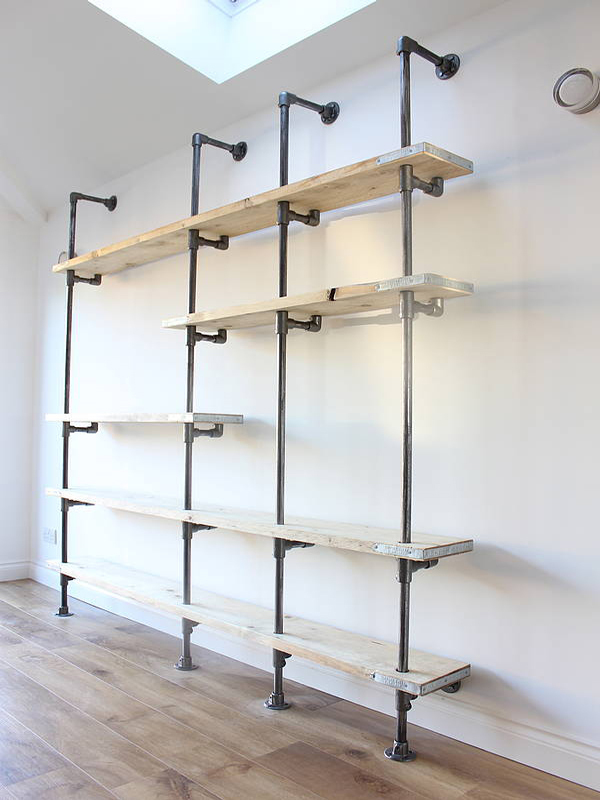 Whilst scaffold boards aren’t at the forefront of the upcycling world, we can see that this wonderful, versatile resource can create extremely beautiful products that last a lifetime. Increasing all product lifecycle’s is a core principle of a circular economy and within the entire construction industry this is vital, keeping finite natural resources out of the waste stream and reused in their current form. The scaffold board is a clear winner in our eyes and we take our hats off to the creators of the above and hopefully have inspired you to create your very own masterpiece out of this wonderful material. Searching for materials? Head over to the Enviromate Marketplace and see what you can find on the ever growing construction material community and find what you need from scaffold boards to tiles and help us on our mission to create a marketplace with a mission and reduce the environmental impact of the construction industry by reusing surplus materials. F-Board; An industry revolution – sustainable, cost effective and convenient! 2015′s most innovative, sustainable and cost effective new scaffolding product has finally been made available to the industry! This innovative new scaffold board system has already taken the industry by storm and became a strong contender to replace traditional wooden scaffold boards. This industry revolution has finally came to market following over 7 years of development, research, testing and engineering. 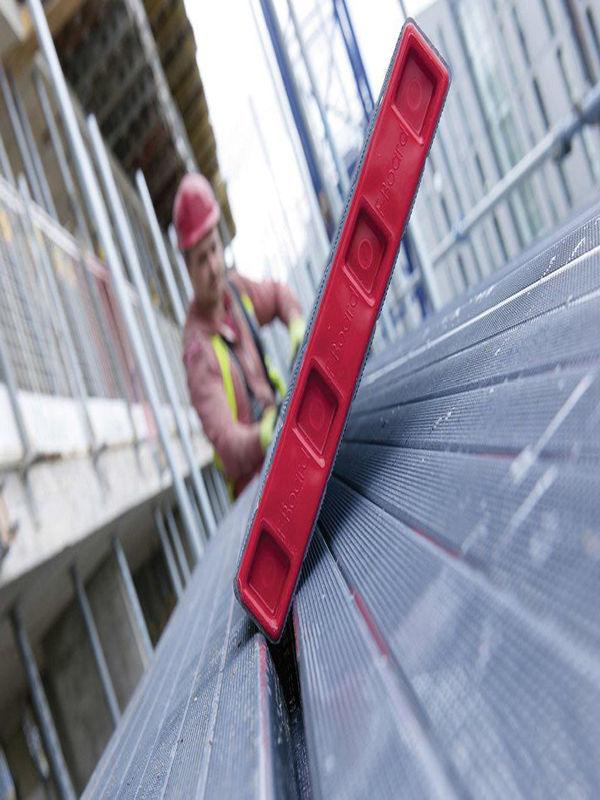 The F Board system is manufactured from 100% recycled plastic in line with all UK safety standards. Each F Board has been engineered and fabricated to the exact same size of conventional wooden scaffold boards, making the transition quick, easy and convenient. Alongside the costs savings, ease of use and safety features, the F Board system provides additional compliance within specialists requirement sectors including; asbestos and precision clean area environments. During a recent comparison between the F Board system and traditional wooden scaffold boards, it was established the carbon foot print of F Boards compared to wooden boards is just one-sixth in comparison. Not only that, F Boards Ltd also provide a full buy-back service. When your F Board system is at the end-of-life stage, a full buy-back option is also available. Allowing you to trade in your old boards for new ones. The old F Board system is then fully recycled and manufactured into new, anti-slip, UPVC scaffold boards. Read More On F Board’s sustainable alternative here.